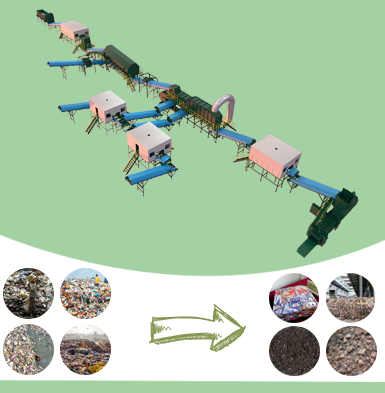 Beston Group always aims to turn waste to wealth and save energy, so Beston has produced waste pyrolysis plant to make waste plastic generate value and reduce the harm to people. Using the principal of pyrolysis, the waste plastic can be converted into fuel oil, combustible gas and carbon black through our continuous plastic pyrolysis plant, and it can fully realize automation and continuity. You can control the entire process only by clicking some buttons. I believe you will take our waste pyrolysis plant easily when you use it. 1. The design of reactor door is more stable and safer with safety valves, explosion-proof valves and automatic alarming system. 2. Casing was installed outside the reactor of continuous plastic pyrolysis plant with the protection of the main furnace body and people’s safety. 3. Professional thermometer and pressure gauge to inspect temperature and pressure at any time. 4. The waste plastic pyrolysis plants have adopted the technology of avoiding burning and explosion-proof, as well as automatic welding technology. 5. Our pyrolysis plant also has all kinds of other safety equipment, such as emergency vent valves, vacuum pumps and so on. At any time, you don’t need to see the situation of all processes again and again, the automatic alarming system will remain you. 1. All the pyrolysis plants have passed the CE, ISO, SGS certifications and have a long guarantee. 2. All the pyrolysis plants adopt automatic submerged arc welding technology and ultrasonic nondestructive testing to ensure the quality of equipment. 1. The reactor continuously works in all processes, feeding while discharging, which greatly improves the working efficiency. 2. The combustible gas in the reactor can be reused to heat the reactor, this step can even burn the gas to save energy and increase the output by 5%. 3. If you want to reach high output in a short time, we can provide you with a special catalyst, which can accelerate the speed of reaction like chemical materials. Thus, it can increase the output by 15%. 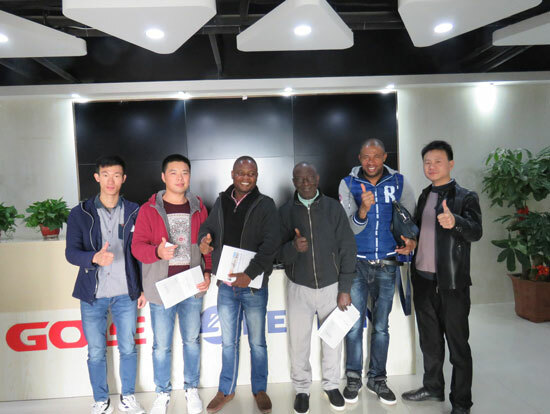 That’s why the waste plastic recycling machines from Beston have been installed in many countries around the world. 1. Feeding and discharging are sealed. 2. The main components of the exhausted gas that cannot be liquefied are alkane class from C1 to C4, and it may be dangerous to burn directly. Therefore, we make them pass the hydroseal and then let them burn out in the reactor. 3. 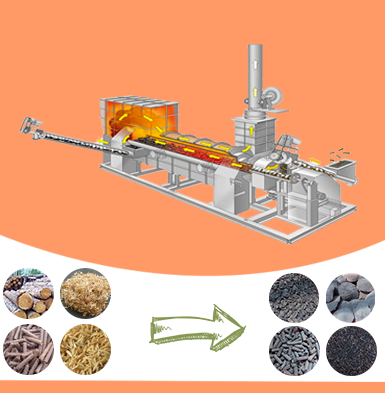 The automatic slag systems of automatic pyrolysis plant are fully closed, with high temperature and without the phenomenon of flying dust. 4. The hydroseal has the fiction of removing sulfur, imprities to get cleaning desulfurization gas, which can be used to reheat pyrolysis reactor. 5. The de-dusting systems can purify the exhausted gas through four-layers dust removal systems to achieve the European standard of emission. We have batch, semi-continuous and full-continuous plastic pyrolysis machines for sale. Different kinds of machines have their own special features and fictions. 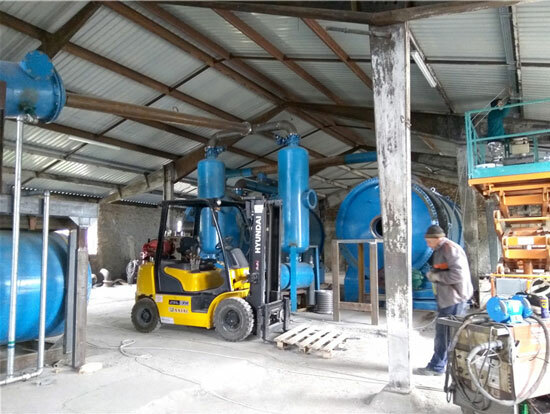 For example, our continuous waste plastic pyrolysis machine is the most advanced equipment, which combines with domestic and foreign technology and has already surpassed any other traditional machines, and I am sure you can make a comfortable usage. If you have any other needs, we can customize based on your requirement. As we know, there may be much moisture in waste plastic or the plastic materials are too big to treat, which may influence the working efficiency of traditional machines. 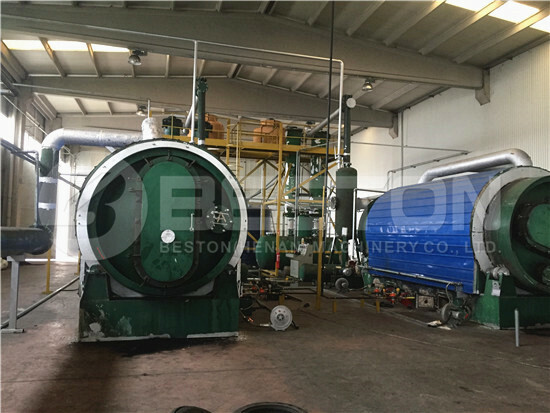 Beston continuous plastic waste pyrolysis plants are equipped with dryer devices and crushing machines, which are used to dry waste plastic and cut the large plastic into small pieces for more full and thorough pyrolysis. 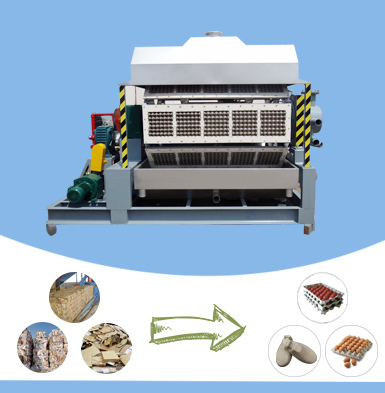 After drying, large plastic can be crushed automatically, and it ensures the quality of final products and improves the rate of output. Compared to the small plastic recycling machine, Beston continuous waste plastic pyrolysis equipment has adopted a belt conveyor. It can make waste plastic get into reactor evenly. It is easy to operate to save your labor force input. The waste plastic pyrolysis plants are equipped with flue tube condensers to cool the exhaust gas discharged by burners and to improve the efficiency of removing dust. 4. Discharging: the pyrolysis plants are installed automatic discharging systems, and they often need 3 hours to decrease the temperature to 100 degrees. In the process of discharging, when the carbon black is over two-thirds of the whole oil tank, the carbon black will be discharged automatically from the main furnace through a slag discharge screw to reach the second water-cooled slag discharge. The whole slag discharge process is sealed and dust-free, and you need do nothing. 5. 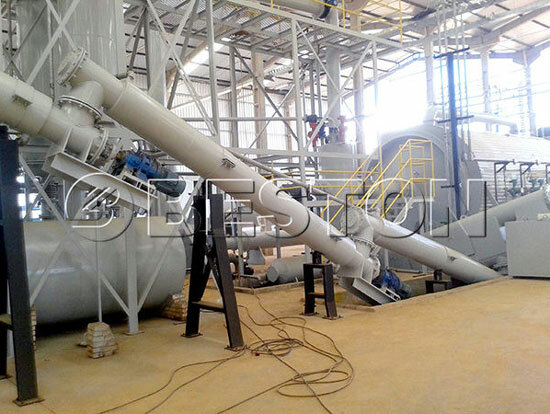 De-dusting; the continuous waste plastic pyrolysis plant has four-layers dust removal systems, which are washing, magnetic adsorption, activated carbon and water spray. They can achieve the effect of sequential work by installing related pyrolysis systems. We use this kind of process in order to reduce trouble for you and purify exhaust gas to get European standard of emission. 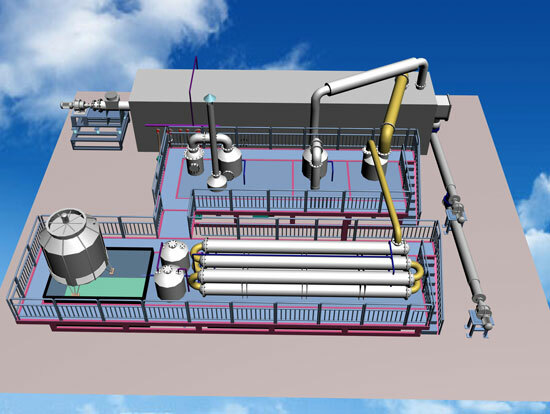 The continuous waste plastic pyrolysis plant makes the best of advanced pyrolysis technology. 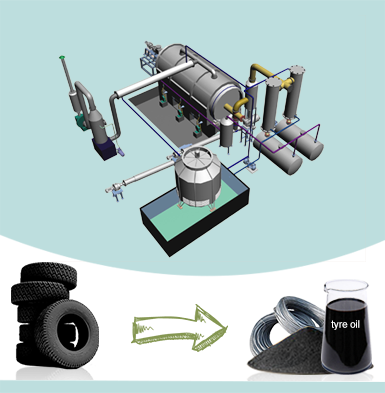 You can get continuously and quickly carbon black and oil through high-temperature heating with waste plastic pyrolysis plant or waste tyre pyrolysis plant and both of them are convenient and efficient. In addition, both of the products are widely used in our daily life. 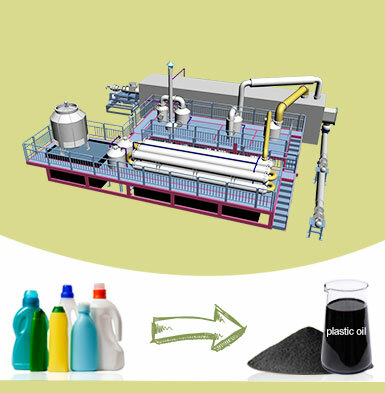 The plastic pyrolysis oil can be used as industrial fuel materials for burning or further reprocessed to diesel or gasoline by using Beston oil distillation machines. The carbon black can be sold directly, made carbon brick by briquetting equipment or reprocessed into high-quality carbon by carbon brick grinding equipment. Both of them are popular and valuable in the market, they will create much profit for you. If you want to find some valuable or practical things in waste plastic, Beston Group could provide automatic recycling plants or automatic waste sorters for you to meet your needs. 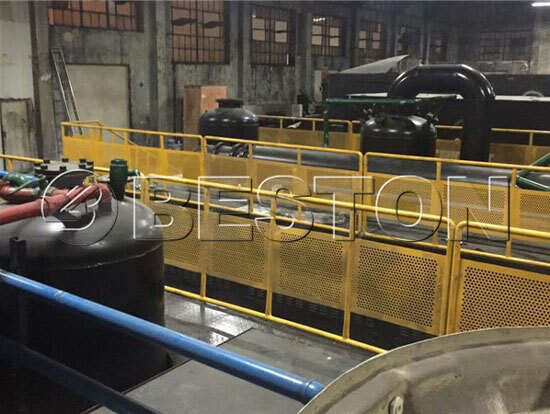 Owing to high quality, reasonable price and excellent after-sales service, Beston continuous plastic pyrolysis plants have won a universal reputation in the international market. Our pyrolysis machines have been exported to many foreign countries, such as Jordan. Korea, Brazil, Dominica, Turkey, Indonesia, Hungary, etc. 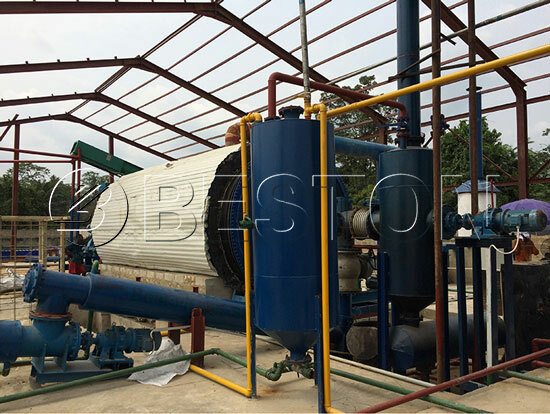 If you want to buy continuous waste plastic pyrolysis plant, please contact us now!